"Bringing a new, fresh perspective to a business that is ever changing"
A Top Producer with @properties, Olin Eargle is ranked as one of Chicago's top brokers citywide. After receiving his Illinois Real Estate Brokers License in 2009, Olin has proven himself in the competitive real estate industry with countless satisfied clients. 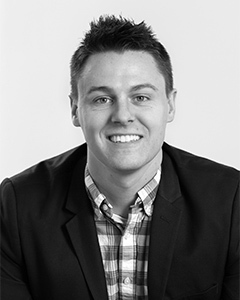 Olin prides himself on his knowledge of the Chicago real estate market and his ability to translate that comprehension into repeat success for his clients. This has translated to millions in sales and the honing of a marketing strategy that is proven to work. Olin's education distinguishes him from most brokers. He has received additional designations from the Chicago Association of Realtors; Accredited Buyers Representative (ABR®), Certified Negotiations Expert (CNE®), Real Estate Negotiation Expert (RENE®) and Short Sale and Foreclosure Resource (SFR®). In 2015, Olin graduated from the National Association of Realtors Graduate Realtor Institute (GRI®). Olin is a member of the Chicago Association of Realtors, Illinois Association of Realtors, and National Association of Realtors. He is the lead agent for the Olin Sells Chicago real estate team. After working in this industry for over a decade Olin creates marketing strategies that leverage his knowledge of how buyers and renters think, what they look for in a property and how to motivate an offer. With a degree in Advertising and Marketing, Olin has the tools to effectively advertise properties in a manner that will maximize exposure and attract the most qualified buyers. Prior to becoming a broker, Olin worked for HARPO and Oprah Winfrey where he became an expert at dealing in high pressure situations. There, he gained a unique skillset including a knack for savvy negotiations, strong communications, and the art of professionalism; each of which has served him well in the real estate industry. Olin currently lives in Bowmanville. He has a B.S. in Communication Advertising and a minor in Theatre Arts from Appalachian State University. He sits on the Executive Board for @GivesBack, an internal philanthropic organization that provides an outlet for @properties agents, employees, and colleagues to make a positive impact on dozens of communities in the Chicagoland area by supporting local programs that focus on homelessness, education, and youth development. 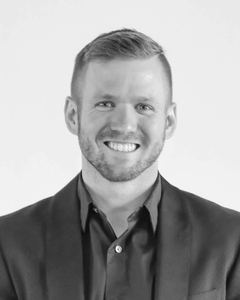 Olin was a 2016, 2017 and 2018 Top Producer, ranked as one of the Top 10% of agents in Chicago and was also ranked as one of TruePad's TOP Chicago Agents. 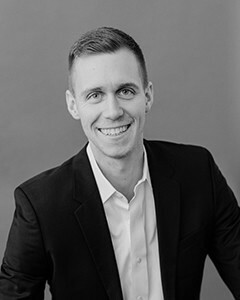 Having negotiated countless transactions throughout his professional career, Austin brings a deep understanding of value, clear and direct communication, and integrity to the real estate space. Now a member of one of @properties' top-producing teams, Olin Sells Chicago, Austin has the resources to provide exceptional service while ensuring that his clients make well-informed buying or selling decisions. The award-winning OSC team has closed over $45M in residential transactions, and comprises members with 15 years of Chicago real estate expertise. "Luis brings an intimate knowledge of the food, music, and hospitality scenes in Chicago to @properties allowing him to tailor your search and find the perfect home for you." 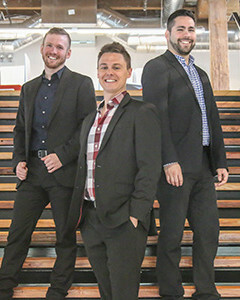 Before joining @properties, Luis spent over a decade working as a freelance musician performing with orchestras in the US as well as Canada, Austria, and Italy. 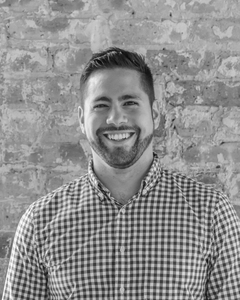 A Georgia native who relocated to Chicago in 2014, Luis began his career in real estate as a virtual concierge for a Chicago-based Airbnb company. Luis comes to the @properties family in a multifaceted role, working in tandem with the OSC team as a buyer and seller's agent specializing in Lincoln Park, Lakeview, Edgewater, and Rogers Park. Luis brings a dynamic approach to real estate by tailoring custom marketing and negotiation strategies to maximize profits while minimizing the stress of the home buying process. "With a special focus on Ravenswood and Andersonville real estate, I am ready to find you your new home." "Hi and thanks for stopping by. As a recent homebuyer myself, I understand each buying and selling experience is unique and personal. It will be a process, but my goal is to make this moment enjoyable and successful. Once you become a client, you are joining a team of people dedicated to your success. I believe actions speak louder than words, and I would love the opportunity to prove my value."